Cannabinol, or CBN, is what tetrahydrocannabinol (THC) will break down into over time due to exposure to oxygen, UV light, or heat. After breaking down CBN will become only mildly psychoactive, inducing little to no psychoactive effects. However, just because this cannabinoid isn’t very psychoactive doesn’t mean it isn’t potent. CBN, offers a unique profile of effects and benefits that have researchers buzzing for more scientific investigation. CBN is the strongest cannabinoid identified for promoting sleep, which makes cannabis rich in CBN an ideal treatment for insomnia. Indica strains appear to have more CBN than sativa strains, which would explain the commonly held belief that indicas make you sleepy and give you a body high. According Steep Hill Labs, 5mg of CBN is as effective as 10mg dose of diazepam, a mild pharmaceutical sedative. For those of you who rely on cannabis to resolve a night of tossing and turning, a little CBN would might do you some good. CBN is a CB2 and CB1 receptor agonist (a chemical that binds to a receptor and activates the receptor to produce a biological response). 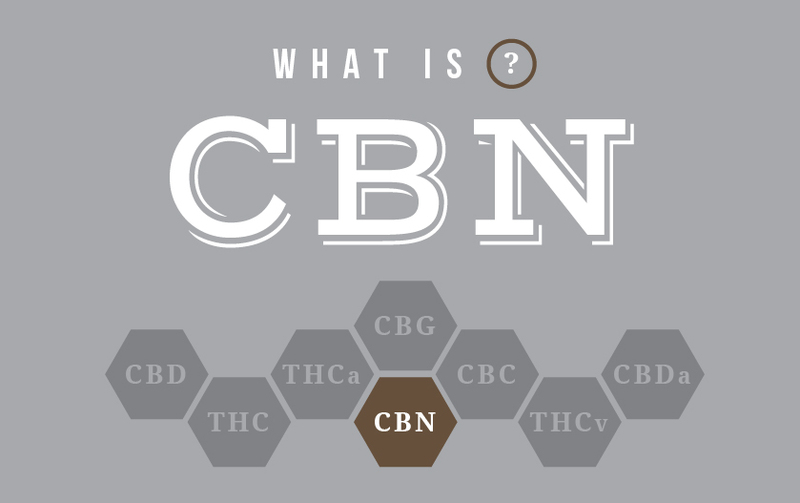 CBN is a product of THC degradation, so as THC oxidizes, it converts to CBN. Heat expedites this conversion through a process known as decarboxylation. Aged, poorly stored cannabis is likely to have higher levels of CBN than fresh flower in an air-tight container, and improperly cured cannabis has also been linked to higher amounts of CBN. CBN-rich products are already on the way. Oils, edibles, capsules, and patches with pronounced CBN profiles are rare, but their proliferation will undoubtedly grow with the changing attitudes toward cannabis. Until then, look for lab-tested flowers and concentrates exhibiting high CBN levels. Speak to any one of FARM’s knowledgable budtenders for dosing information, and other CBN alternatives.